MOORESVILLE, NC, February 6, 2019 – Ford going for third straight Daytona Clash win. 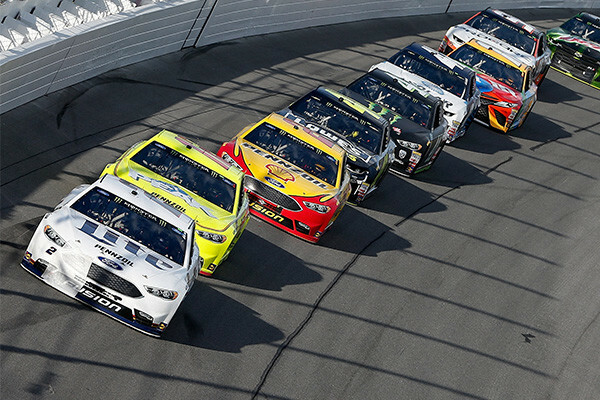 Ford has won The Clash at Daytona nine times by seven different drivers, including the last two by Team Penske drivers Joey Logano and Brad Keselowski. The best stretch for Ford in the event undoubtedly came during a three-year winning streak in which Rusty Wallace, Mark Martin and Dale Jarrett all reached victory lane from 1998-2000. Jarrett owns three of Ford’s eight victories (1996, 2000, 2004) in the event and on two of those occasions (1996 and 2000) he went on to win the Daytona 500. As noted above, Bill Elliott was Ford’s first winner in the event while Geoffrey Bodine was next in 1992. The 2019 Monster Energy NASCAR Cup season gets started this weekend with The Clash at Daytona on Sunday afternoon. This non-points event features pole-winners from the 2018 season, along with former Clash winners, former Daytona 500 race and pole-winners who competed full-time last year, and playoff qualifiers from a season ago. This event has been run in one form or another since 1979. There are 20 drivers entered in Sunday afternoon’s Clash and nine of those will be driving the new Ford Mustang for the first time in competition. Four Ford organizations will be represented, including all of the drivers that make up Team Penske and Stewart-Haas Racing. Defending series champion Joey Logano, Brad Keselowski, and Ryan Blaney (Team Penske) will join Kevin Harvick, Clint Bowyer, Aric Almirola and Daniel Suarez (SHR) in the field. Rounding out the Ford contingent is Ryan Newman, who will be making his return to Ford and debut with Roush Fenway Racing, and Paul Menard, who won the pole for Wood Brothers Racing last year at Chicagoland Speedway. 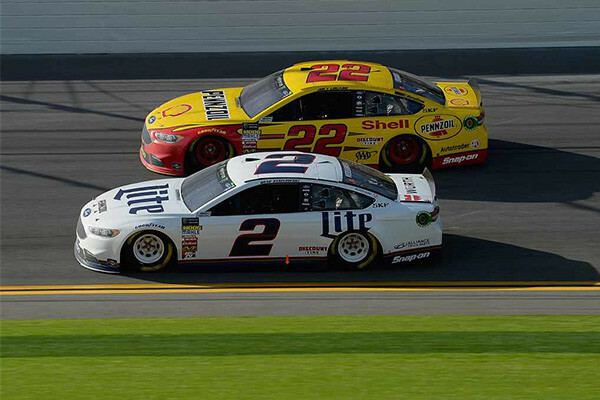 In a foreshadowing of the 2018 Monster Energy NASCAR Cup Series season, Brad Keselowski took Ford to Victory Lane in the Advance Auto Parts Clash at Daytona International Speedway. Keselowski led a Ford sweep of the top four finishing positions as he took the lead on lap 39 of the 75-lap feature and never looked back, holding off Joey Logano, Kurt Busch and Ryan Blaney, respectively. It marked the second straight Clash win for Ford and served as a springboard that saw the Blue Oval lead the series with 19 points wins and capture the drivers’ and manufacturers’ championships. 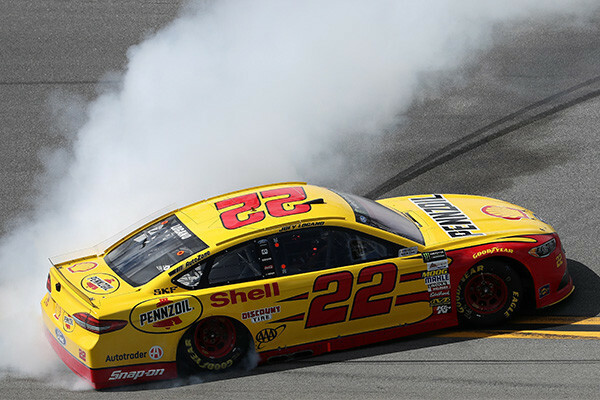 Joey Logano snapped a 13-year Ford winless drought when he won The Clash in 2017, making him the manufacturer’s first victor since Dale Jarrett in 2004. Logano found himself in the right place at the right time, taking the lead after Denny Hamlin and Brad Keselowski made contact on the final lap. Keselowski had a run and was trying to pass Hamlin, whose attempt at blocking came too late and resulted in both cars colliding. That enabled Logano to get through and win the Clash for the first time in his career. Four Ford drivers finished in the top six spots as Danica Patrick was fourth, Kevin Harvick fifth and Keselowski sixth.